My mom’s kabocha squash harvest yielded 55+ squash (squashes??) in the very first year. 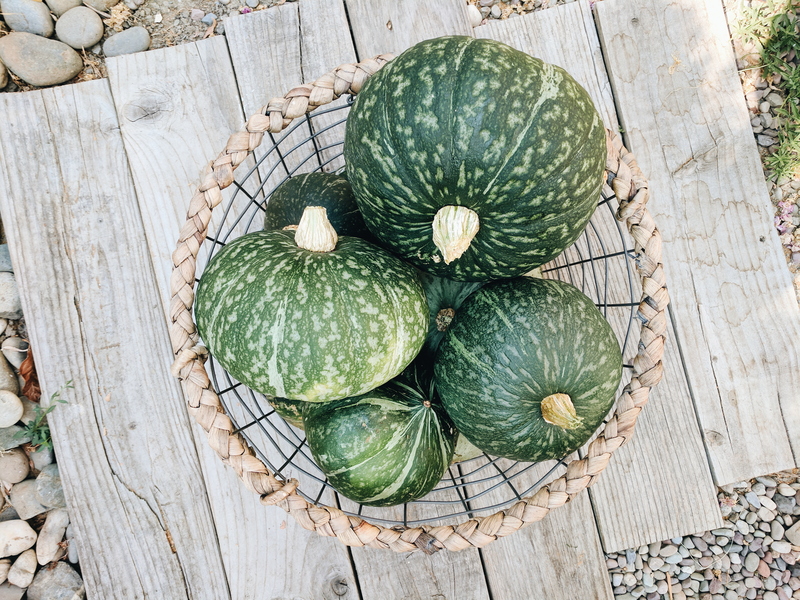 Kabocha squashes, aka Japanese pumpkins, have a more powdery texture than other squashes. They feel more like sweet potatoes and are also much sweeter than other squashes. Even though Sacramento will reach 111°F today, I am trying to milk every last drop of September-December by pretending it’s autumn already. 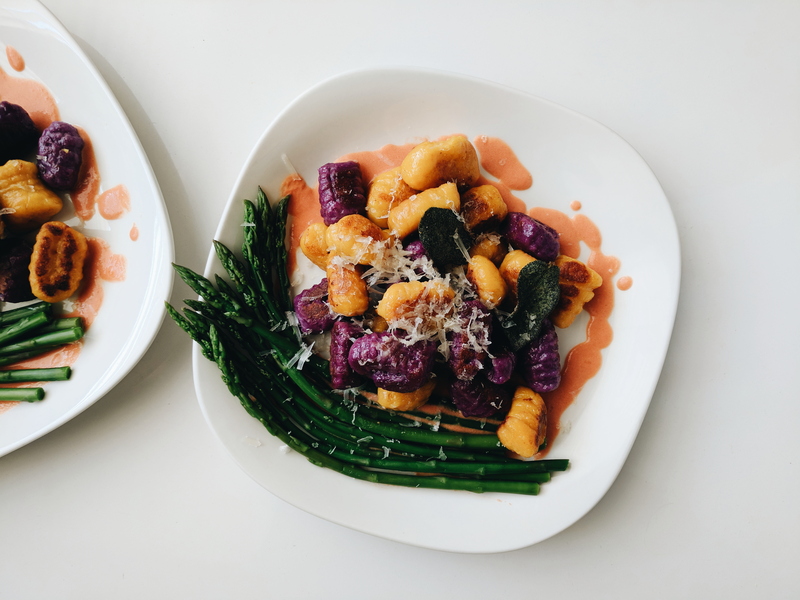 I used my own gnocchi recipe to make these little nuggets, subbing the potatoes with the roasted squash and yam. I also figured out a better way to create the gnocchi ridges by using fork tines to roll each gnocchi pillow along a bamboo sushi rolling mat. You’d think that a store called “Chef’s Mercantile” would carry gnocchi boards, but it doesn’t. Luckily, I am the most resourceful person I have ever met. 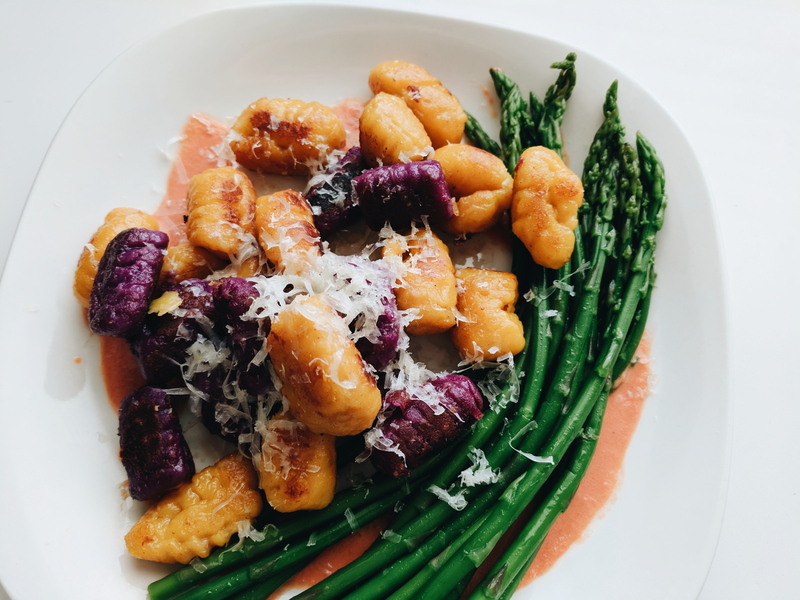 I originally meant to serve the gnocchi with broccolini, but the one time I needed broccolini, Sprouts Farmers Market was completely out of stock. 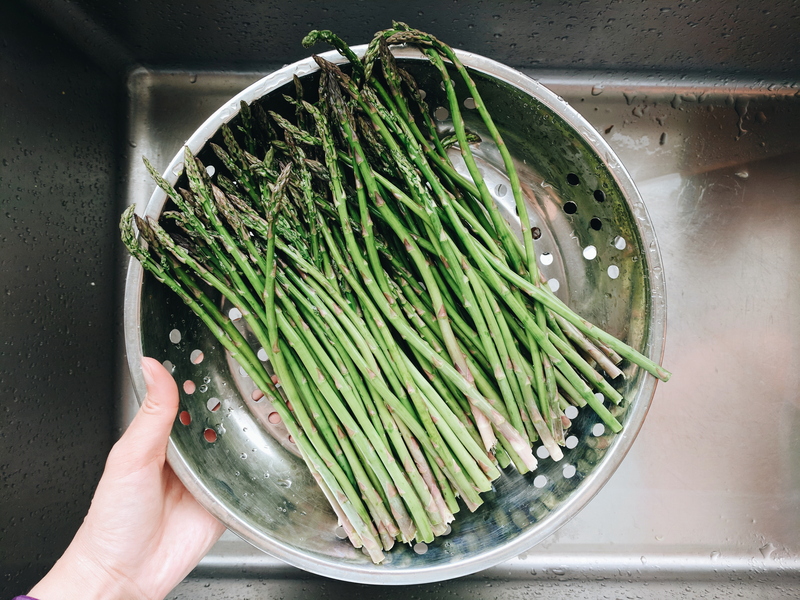 I’ve literally seen broccolini in stock every single time I’ve been to Sprouts, but it’s ok asparagus is fine 🙃. Soggy gnocchi is the worst. Crispy gnocchi is not. 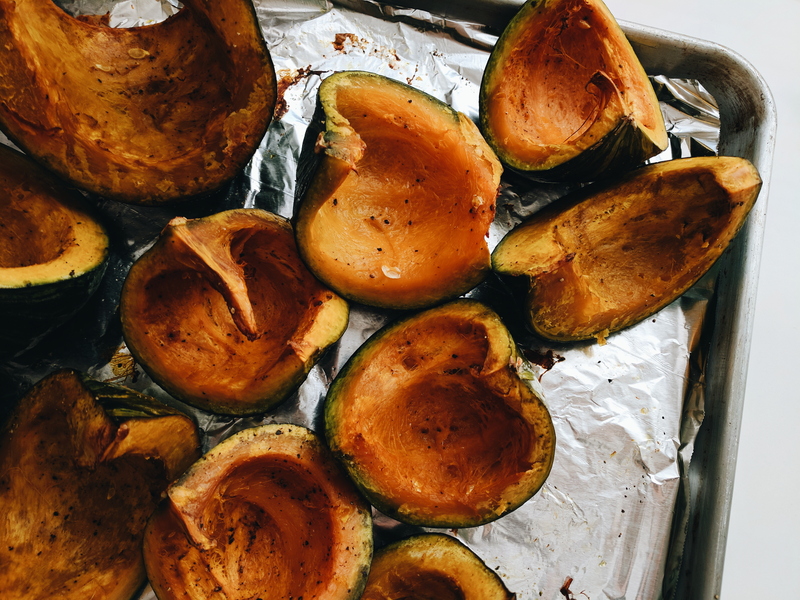 Roast three medium sized kabocha squashes and three purple yams with olive oil, salt, and pepper. 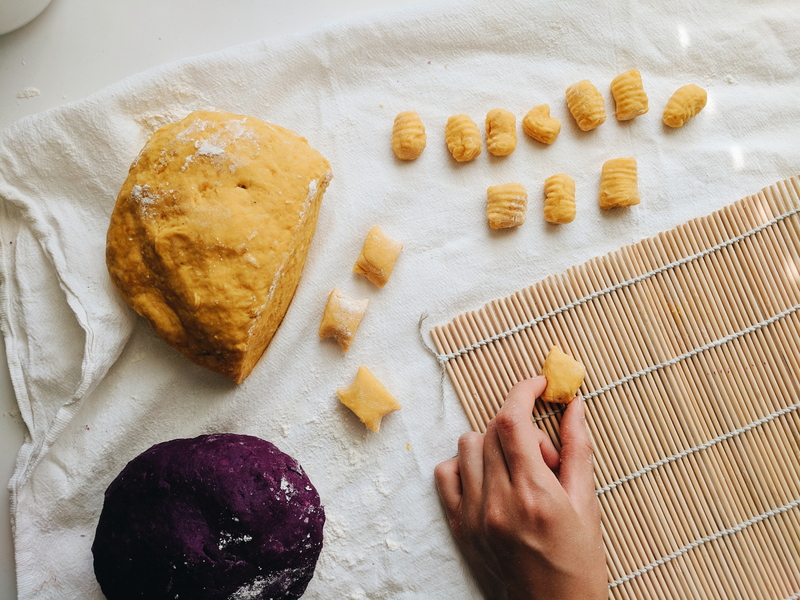 Roll segments of the dough to form long ropes, and use a bench scraper or knife to cut uniform gnocchi shapes. 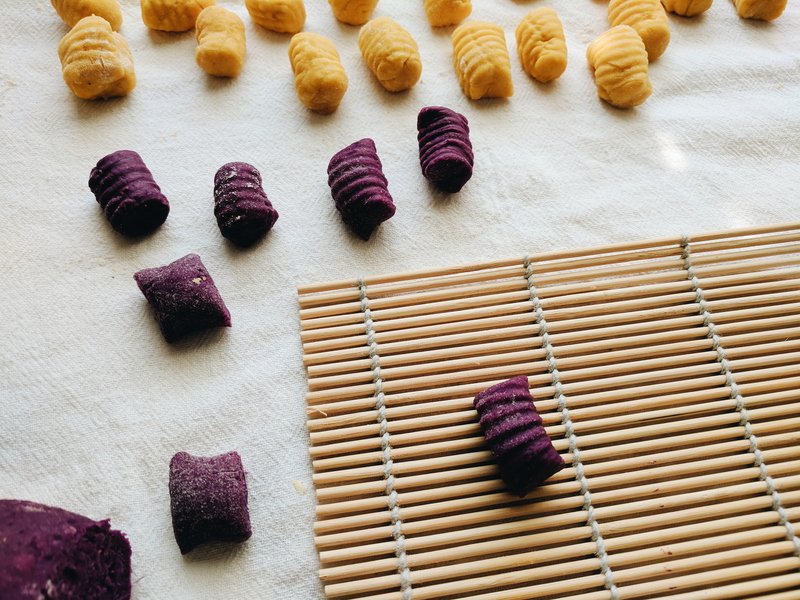 Roll each gnocchi along fork tines, bamboo sushi mat, or gnocchi board. Par-cook the gnocchi by boiling them in small batches until they float. Finish cooking with butter on the stove until slightly crisp. Do you think I can use GF flour in this? Or suggestions what to do to eliminate wheat? Thanks! You may be able to use sweet/glutinous rice flour instead of all-purpose flour! Thanks! If I try it, I’ll let you know!